By Year 4, children should know all of their times tables up to 12 x 12. To support this, we have launched a new times table challenge where the children will be rewarded with certificates. Please see below the order that the times tables will be tested in. To support your children at home, please test your child on whatever times table they are working on. You can also use these websites to help you. This year, we have introduced a new Calculation Journey which sets out how we teach the four written methods. This follows a 'CPA' structure which involves using concrete apparatus followed by pictorial representations and finally abstract concepts. Maths lessons will also follow this structure allowing for lessons to be creative, exciting and accessible. The CPA structure encourages children to investigate new concepts using various concrete resources before consolidating their understanding through pictures and number sentences. Children will have a deeper understanding of concepts and will be able to apply their understanding to reasoning problems. • A broad range of skills in using and applying mathematics. • Fluent knowledge and recall of number facts and the number system. • The ability to show initiative in solving problems in a wide range of contexts, including the new or unusual. • The ability to think independently and to persevere when faced with challenges, showing a confidence of success. • The ability to embrace the value of learning from mistakes and false starts. • The ability to reason, generalise and make sense of solutions. • Fluency in performing written and mental calculations and mathematical techniques. • A wide range of mathematical vocabulary. • A commitment to and passion for the subject. Maths is integral to everyday life and with this in mind we endeavour to make sure that children develop a positive and enthusiastic attitude towards the subject. We want this attitude to stay with them forever. The fundamental skills that children learn in maths are important life skills that will prepare them well for the future. Most importantly, Maths is fun and is to be enjoyed! 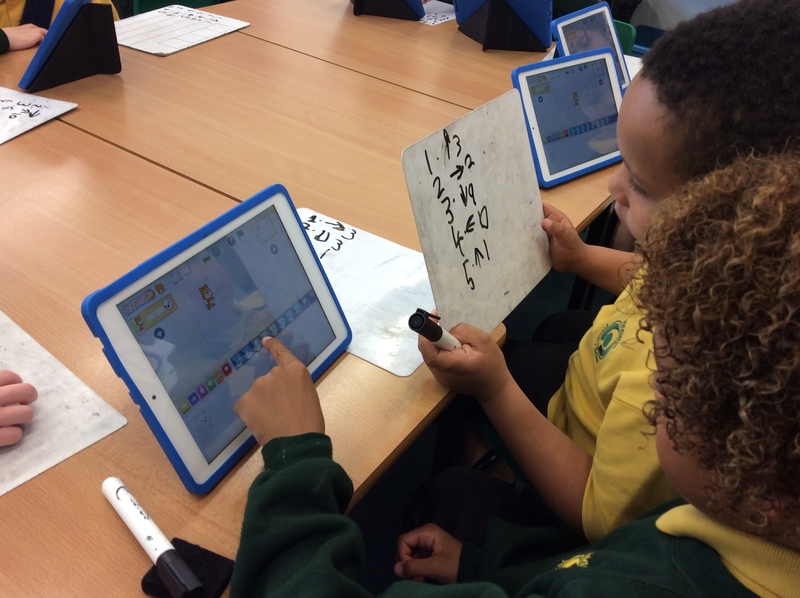 At Middleton we want every child to reach their full potential in Maths. We teach the subject using a variety of methods such as practical investigations and outdoor learning in order to engage and excite the children and make the learning experience enjoyable for every child. 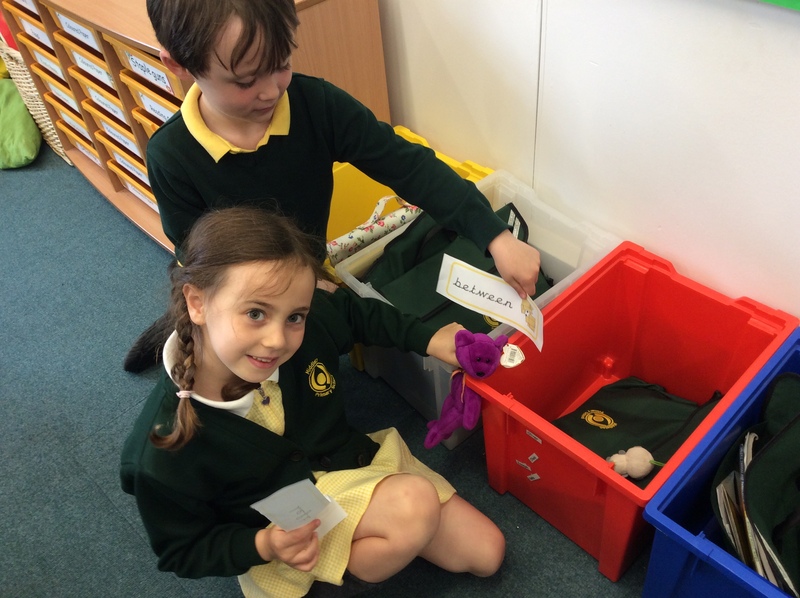 The children in Year 1 have been learning some new mathematical vocabulary. 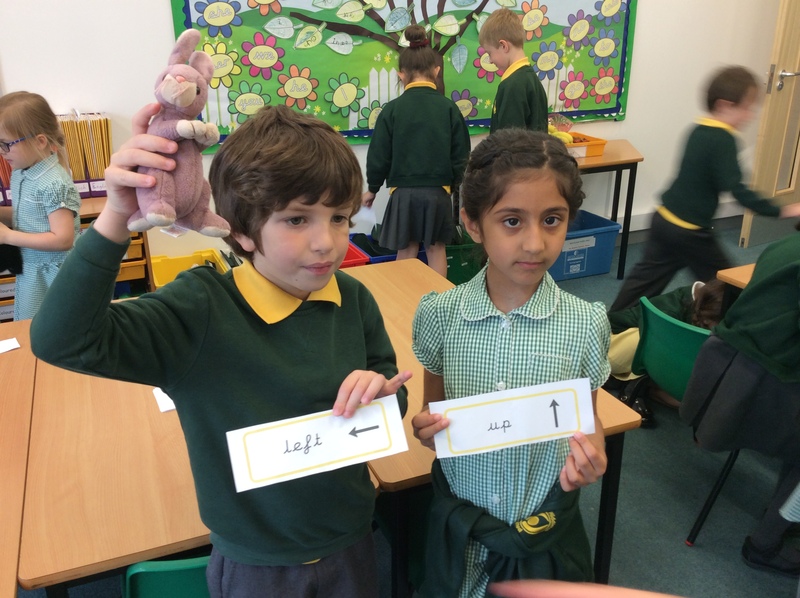 To learn positional language they chose a word card and instructed their partner where to place their soft toy. 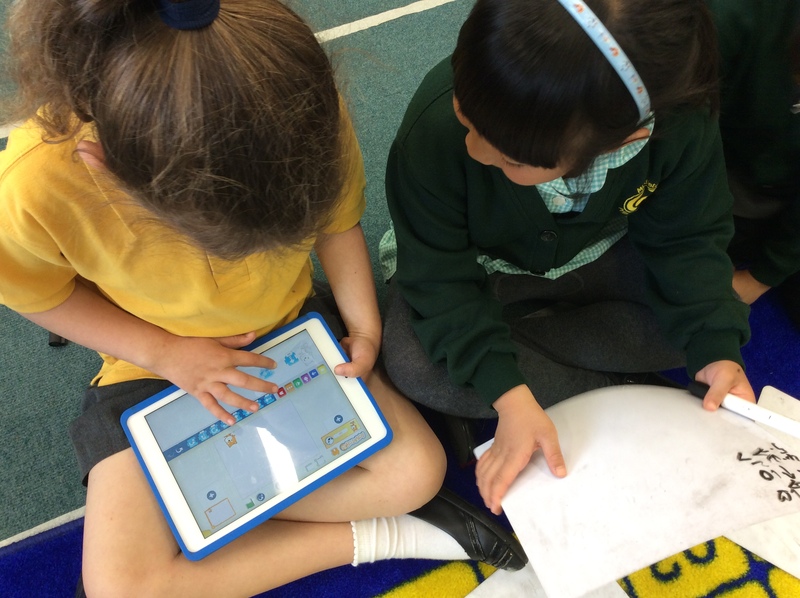 They used Scratch on the Learnpads to explore directions and directional language. Some children in Year 5 are taking part in a special project. 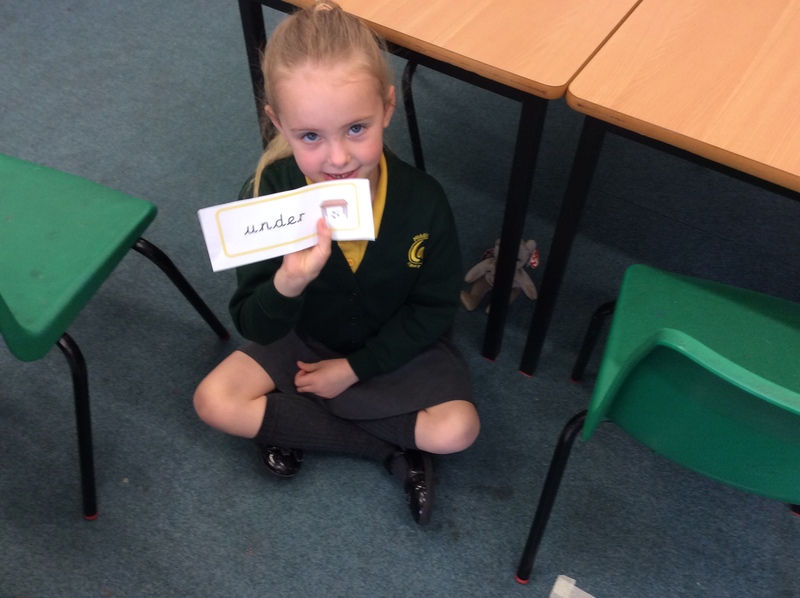 They have been given the task of making maths dictionaries to help themselves and others understand some of the vocabulary and concepts in maths. They are doing a fantastic job so far! 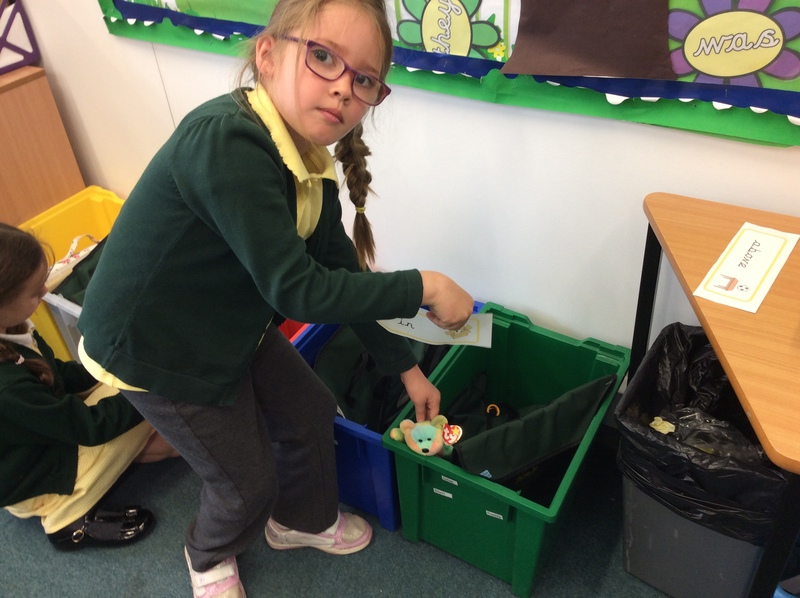 The children in the Foundation Stage have been learning how to use objects to add and subtract. Year 1 having been working very hard in maths this term. In the photos you can see them learning to solve division problems by sharing objects. The staff at Metro Bank have been visiting our Year 4 classes to teach them lots of exciting things about banking. The children have learnt about many things, including opening bank accounts, saving, budgeting, interest and how ATM machines work. Here is a video to help with written problem solving activities in KS1. The methods chosen are taught methods we encourage the children to use to help solve problems.